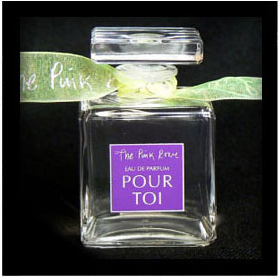 Sarah Barton-King wrote a very descriptive story and collaborated with one of the top perfumers in Grasse. “Acknowledging the great writer Colette, this story is about the Gigi in all of us. She starts naïve and becomes the sophisticate, smoking cigars and drinking champagne. A little coy. Passionate, I want to be my own hero, I listen and dance to my own inner beat. I still have that ‘tomboy’ inside my heart and now I’m going on my adventures to show the world the kind of woman I can be, a woman of the world, what I can be and what I can do. We all fantasize and dream. That is what the perfumer did, with a smile of amusement!